Boston Web Designers continues to expand its Responsive Website Design portfolio as it launches several new responsive websites. A partnership between Northeastern University and Dana-Farber / Harvard Cancer Center CaNCURE provides hands-on research experience and one-on-one mentoring by leading Boston researchers in cancer nanomedicine. CaNCURE was established in 2014, with a $1.15M training grant from the NCI, to train undergraduate students in research at the interface of nanotechnology, cancer biology, and medicine. 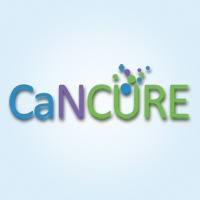 Project – BWD provided web design, Responsive Design and Logo Design for CaNCURE. With more than 20 years of roofing experience, commercial businesses and homeowners have come to trust the Roofing Doctor to cure problems with their roofs. The roofing doctor serves both RI. & MA, providing free estimates, as well as references from our extensive list of satisfied customers. Providing highly individualized gynecological care to women throughout New England. As a certified Surgeon of Excellence in Minimally Invasive Gynecology, Dr. Estella offers the latest advances and technology in minimally invasive gynecological surgery. Project – BWD provided website design and responsive website design/programming for the Dr. Nonnie M. Estella. 2 Sisters Senior Living Advisors help families find the best senior living options, making life transitions more accessible for seniors and their children. They serve as a resource to families and the elderly navigating through the growing maze of choices in Independent Living, Assisted Living, Memory Care Communities, Home Care and Skilled Nursing Facilities. Project – BWD provided website and responsive design / WordPress theme development and programming for 2 Sisters Senior Living Advisors. 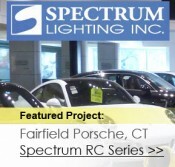 Project – BWD provided website and responsive design /custom e-commerce development and programming for Spectrum Lighting, Inc.
Littleton Earthworks provides home and business owners with comprehensive landscape design and construction solutions including single tree planting through entire property designs and complete installations. Project – BWD worked with Littleton Earth Works to upgrade its website and portfolio to a responsive and easy to manage content management solution. Helps low-income households save money and reduce overall energy use by encouraging them to change their habits for heating and behavior. Heat Smart has developed a Heat Smart Kit that cost just $12 but helps families save nearly $200 on their heating bill every year! 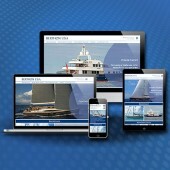 Berthon specializes in the sale of yachts of superior construction and reputation, both Sail & Power. Strone Trade specializes in natural stone. Working with owners, architects, and contractors they identify and supply the best stone based on a particular project. Stone Trade has nearly three decades of experience and a vast network of suppliers. This provides stone and design professionals more choices offering either raw material or cut-to-size panels, pavers or cubic work, ready for installation. Providing tax preparation services for individuals and businesses Including Tax Planning and Return Preparation, IRS Representation, Individual Tax Returns, Corporate Tax, Partnerships, Offers in Compromise, Prior Year, Returns, eFile. Project – BWD provided website design, responsive website design, and programming as well as WordPress Theme Development for the HTA Tax Prep. Personal Care Physicians is a Farmington, CT Concierge Medical Practice offering private physician medical services and house calls. Project – BWD provided website design, responsive design, and programming as well as WordPress Theme Development for Personal Care Physicians, LLC. 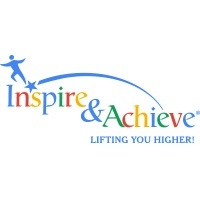 Inspire & Achieve is a public charity providing scholarships and educational resources to deserving high school graduates. Miranda Bouldin, President, and CEO of LogiCore Corporation founded Inspire & Achieve in May 2012 to support education by easing financial barriers for talented youth desiring to achieve educational excellence. Project – BWD provided website design, responsive design, and programming as well as WordPress Theme Development for the Inspire Achieve.